Manchester’s entertainment complex, The Printworks, has raised over £30,000 for The Christie at this year’s Manchester Soul Festival, bringing the grand total to date to over £95,000. Following three successful years raising over £65,000 for The Christie, The Printworks planned to make this year’s event bigger than ever, setting a record-breaking target of £35,000, which would take the cumulative total to a huge £100,000. Although just £4,453.23 short of its huge target, The Printworks still has its sights on bigger and better, and is currently planning several follow up events to raise the extra needed. More than 48,500 people got their groove on over the bank holiday weekend for the biggest Northern Soul event of the year, celebrating all the fun and nostalgia of one of Manchester’s most-loved musical eras. Over 100 acts took to the various stages of The Printworks, including the likes of Stax of Soul, Geoff Rey & The Soul Temptations and Yes Sir. They performed Northern Soul and Motown classics to entertain thousands of people in the name of charity. 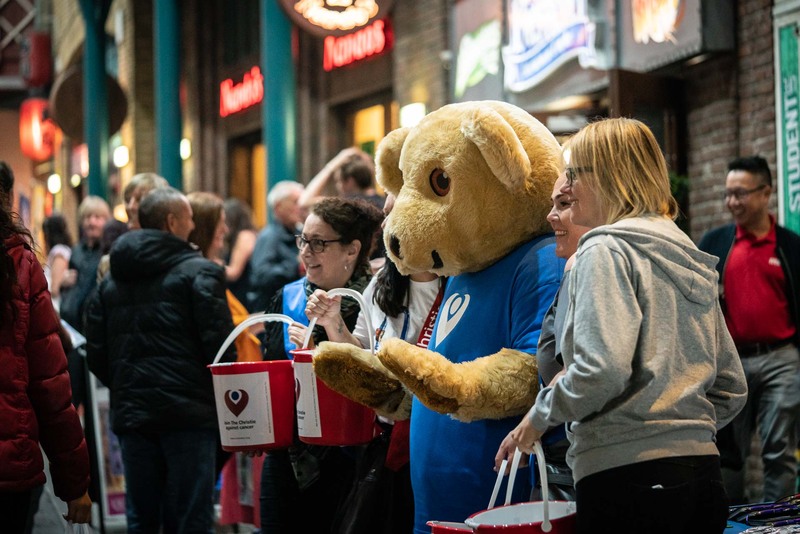 With over 700 donors to the JustGiving page, the initial pre-sales target of £10,000 was smashed as The Printworks headed into the event with an impressive £11,000. This meant the Soul Festival was set up to be the most successful yet before the event even began! All proceeds from the event go towards the The Cancer Appeal Fund run by The Christie, who are leading experts in cancer care, research and education, and are a charity close to many people’s hearts. Classroom for budding artists renamed in honour of #FightEB campaigner & photographer James Dunn.